RSD - Corner Dub. Vinyl 12. Bleep. Back in 2007, RSD didn’t stand for Record Store Day. It stood for the dubstep moniker of Rob Smith, one-half of Bristolian bassweight pioneers Smith & Mighty. One of the crowning glories of the RSD legacy is the Corner Dub 12” he released back in the early days of Punch Drunk Records. ‘Corner Dub (Blue And Red Mix)’ combined the digi-dub style with the latest sound system fashion of dubstep for a bit of Iration-style toughness. On the flip, ‘Pretty Bright Light’ brought together a choppy breakbeat with a more low-end theory to create a sparsely beautiful tune. More than a decade on and now being given a re-press, these tracks still sound vital. 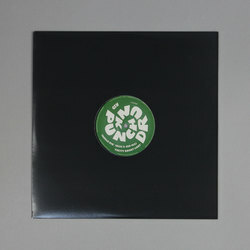 Limited edition repress of classic Punch Drunk release. Bristol music Godfather Rob Smith (Smith & Mighty) was a major force in the 1st wave Bristol Dubstep scene, not only as a huge musical influence on the likes of Pinch and Peverelist but also as a producer in his own right. This typically dubwise 12” is one of his best from that era, repressed for 2016.